Luca Curci talks with Hella Rass during VISIONS – The Garden of Liquid Identities in Venice. Hella Rass was born in Germany, she is a performance artist with focus on contemporary art dance creations. She started with academical dance, techniques such as Graham, Cunningham, Humphrey-Limon, she developed her work as master student Laban/Barrtenieff with Fe Reichelt, a German expressionist dancer formed by Mary Wigman, Jacques Lecoq for drama art, mime corporel with Maximilien Decroux, Yoshi Oida, Yoshito Ohno and No theater, Kabuki theater, Butoh, “Les Barres Flexibles” by Wilfride Piollet & Jean Guizerix in movement studies and ballet work. She is author of numerous art performances: 1991 Totentanz (DanceScreen) 1992 sans issue/ausschnitt (milanoltre festival) 1994 desenchant-mass ohne mass- drippings – disappointment (DanceScreen) 1995 Till Eulenspiegel– la grille c’est le moment terrible pour la sensibilité: la matière (Bagnolet) 2001 Parfum de France(Beaux-Arts) 2002 Colors ou toutes les couleurs du monde (Cave Saint Sabon) 2002 La Robe (Beaux-Arts) 2004 Analyse de la ligne libre 2005 Liaison(s) covalente (Beaux-Arts) 2016 Mon Mouvement dansé (its liquid). 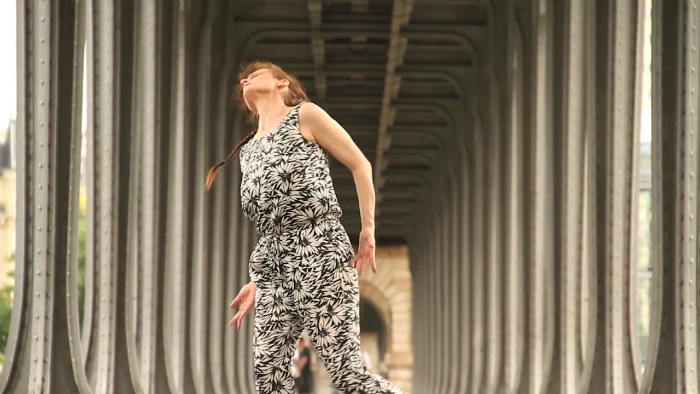 She collaborated with Davide Ballula for the performance “The Endless Pace” (Centre Pompidou 2011), Anne Collod “Blank Placard Dance” (Centre Pompidou 2016). She worked within the construction of an Eco quartier with the experimental architects of Bellastock (2012/15), and PlastiqueFloreDanse in the garden of Versailles (2010/12). She lives in Paris, France. Hella Rass – Though I am a contemporary dancer. The challenge to work with different supports and surfaces such as film, theater, beaux arts were all the time my focus. I was overthinking the conceptual view of architecture in dance art performances and I explored sensual perceptual body work in open research with Wilfride Piollet. This brought many news aspects into my work, different angles to perceive and to connect. H.R. – My work leans on creative process, experiences transforming through exploring art process. Sometimes I am quite conceptual, but generally I am for openness and different views. H.R. – Moments to be and to the way to see things, to connect with themes, I wouldn’t experience otherwise. H.R. – The word, I love very much at today is the oxymoron word ‘postclassical’: Aesthetics such as form, lines, but also expression to give meaning to the word. H.R. – If we’re lucky, it will be a short film, inspired by Vivid and Conscience, the ballet project Pasolini tried, but never published. 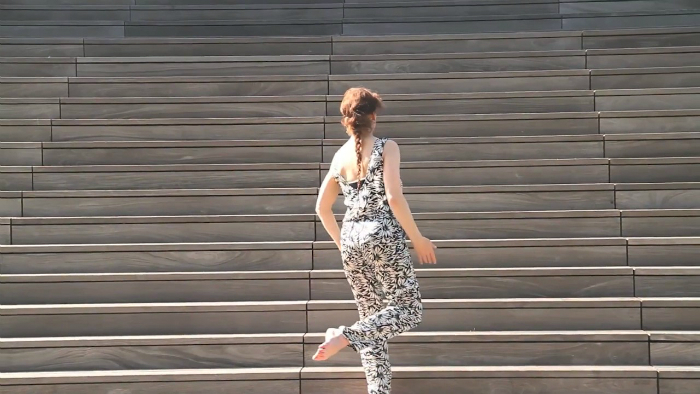 Some poetical realism, some encounter between dance, film. A postclassical argument. H.R. – Well, I am considered to be a modern spirit and I like actuality. What I realized thanks to visitors is that they could find themselves in this art process. H.R. – Amusing, controverting, it is a necessity. H.R. – It is an open concept at ease to connect. I was much attracted by the title of the exhibition Visions, a garden of liquid identities. I like the aspect very much of being liquid, a state of matter that flows and takes the shape of its container. H.R. – Yes, I do. Fluidity, motion, connection and accessibility is quite important to an artist’s representation. I was very happy, that it worked out so easily.